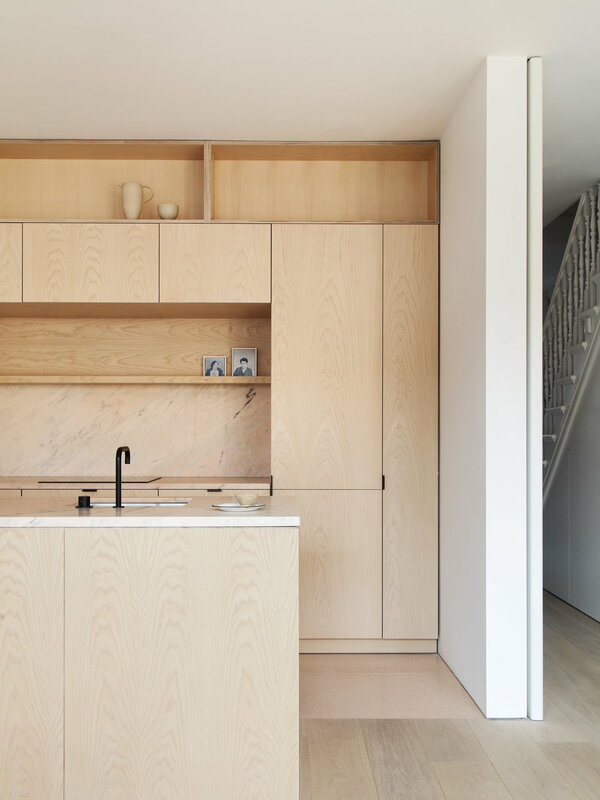 This addition at the rear of a home in Dollis Hill creates a unified space for the kitchen and dining and places emphasis on the connection with the garden. A long bench is incorporated into the façade of deep vertical oak fins whose rhythm on a brick plinth provides direct views out yet sideways privacy. 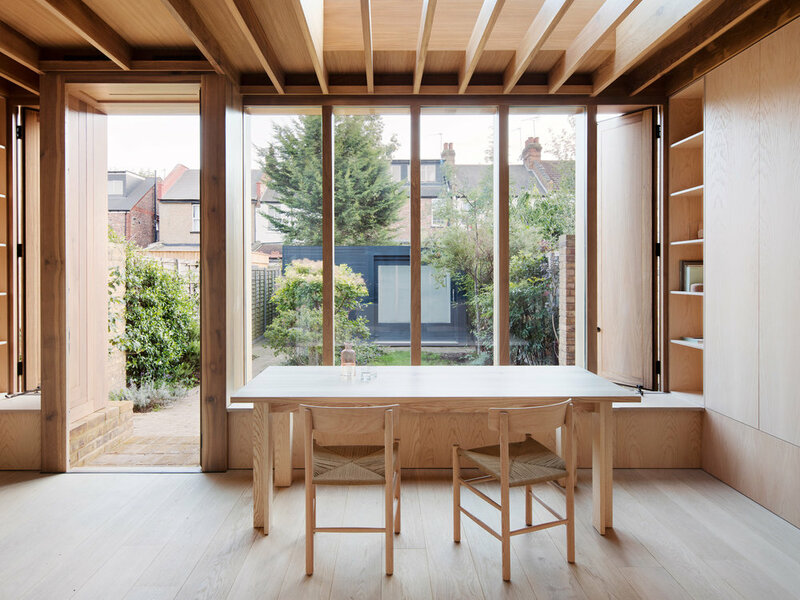 All of the timber elements were fabricated and pre-assembled in a family-run workshop. Connections between the various modules were designed in such a way that they could be transported to the site and easily slotted back together.